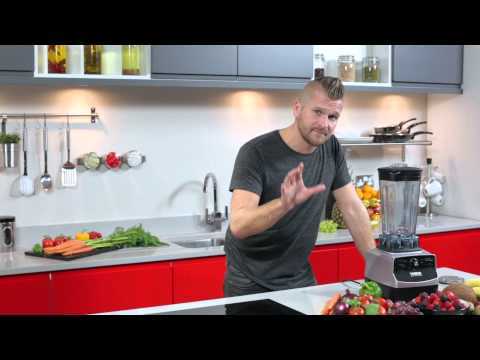 Featuring a powerful 1200W slow-start motor, that reduces wear and tear over the life of the product, the Ultra Xtreme Pro is able to take on even the toughest of blending tasks and can split stems, burst seeds and pulverize hard-skinned fruit and vegetables, making it perfect for smoothies. Reaching speeds upto 20,000rpm, the motor is extremely powerful yet quiet enough to not disturb your daily business. A manual dial is incorporated into the polycarbonate base to make selecting blending speed simple and a pulse function is on hand to give users full control over what they are blending. Advanced titanium alloy blades that come with a lifetime guarantee ensure optimum performance with every use and a durable, 2 litre capacity blending jar is dishwasher safe, meaning post-use clean-ups are hassle-free. I purchased this Tower Ultra three weeks ago. The recipe book that comes with it is pretty comprehensive and having tried several of the recipes, the machine comes up trumps ! I wanted to try making bread so I went online to watch some Vitamix videos. This showed me how to make bread perfectly....no more bread dough on my hands !! This machine comes in MUCH cheaper than the Vitamix and I have not found anything that the Tower cannot do !! One of the very best buys I have ever made. GET ONE and try it !! I am totally in love with this blender! It has such great speed it makes all my smoothie and soups ultra smooth even when I use nuts and seeds. Really simple to use and easy to clean. Tower Ultra treme Nutrient Extraction System seems a very good kitchen equipment. It's sitting elegantly amongst my other kitchen tools.\n\nDefinitely and presently it is good for the money. I have seen similar equipments sold for more. \n\nThe equipment is performing brilliantly at present, for the past one week that I got it. I have no doubt it will continue to do well for a long time.\n\nI have bought a sauce pan made by Tower before and it is still going strong for over twelve years. This is the reason for purchasing his machine. Hopefully, this machine will be the same.\n\nI give the equipment 'Good' because I only bought it for a week. I love my new Tower Ultra xtreme pro. It is a sturdy machine that packs a mean punch when it comes to blending. I had looked at various bullet type nutri extractors but the Tower jug blender is the right one for me and my family and it costs less too! The Ultra Xtreme pro is easy to control with only 3 switches/dial and comes with a handy recipe book to get you started. What can I say? This is incredible. It has totally transformed my approach to food. It is so easy to use, easy to clean and so easy to make delicious soups, smoothies, juices, shakes, pastes, salsa etc that at first I thought there must be a catch. But there isn't. It's as good as you'd hope it would be. Years ago, I nearly tool the plunge and bought a well know EXPENSIVE American version, but the price was just too high to risk without knowing what it would be like. However, the Tower was too good to resist at an amazing price. And it's probably the best kitchen purchase we've ever made. And the most useful. And (in the short time we've had it) the most used as well. The ease of cleaning encourages you to use it, as opposed to in the past with all the other types of blenders with fiddly attachments and hard to clean parts that we had. With this, about 500ml of hot water, a tiny dash of washing liquid (and make it tiny, as it really froths up!) and a quick whizz and you're good to go again. It is so straight forward to operate, it has a great recipe book with lot's of ideas and delicious recipes. Most importantly, as well as being such fun to use (yes, really; who would think that about a blender, but it is so satisfying to work the speed control..so old school but so right, if you know what I mean) it really does make the most delicious juices, smoothies and shakes...QUICKLY! I've been having my favourite blend of carrot, apple, banana and oat_or almond milk for breakfast every day, and whereas in the past I'd lose impetus to keep on blending (due to time, fiddly set-up, cleaning etc), this is as straight forward as switching on the kettle..it's that easy, that efficient and that essential. Built like a tank, heavy duty lifetime guaranteed blades, unbreakable jug, mega powerful motor, this is my favourite device in the house and I look forward to using it every day. It is also so easy to eat healthily when you have one, as it's much quicker now to make a nutritious shake for my daughter and her friends than to reach for the ice-cream or fizzy drinks. Wash the fruit and veg, partially chop, throw it in the jug, turn it on and away you go. My only regret? Not buying one sooner. I am glad I bought it. It is very easy to work with it. I am amazed how quick make smoothies absolutely no pices in and no annoying noise. \nI Sam really very happy with it. Strongly recommended to my friends. \nI forgot it is bargain !!! I am glad I bought it. It is very easy to work with it. I am amazed how quick make smoothies absolutely no pices in and no annoying noise. I Sam really very happy with it. Strongly recommended to my friends. I forgot it is bargain !!! Good build, durable material which is easy to clean and pulse feature for making breadcrumbs very effective. I have made smoothies so far and it has made these in seconds, there is no comparison to my old blender by Kenwood. Tower Ultra Xtreme Nutrient Extraction System is the best blender I have ever bought. Wow - what more can I say! 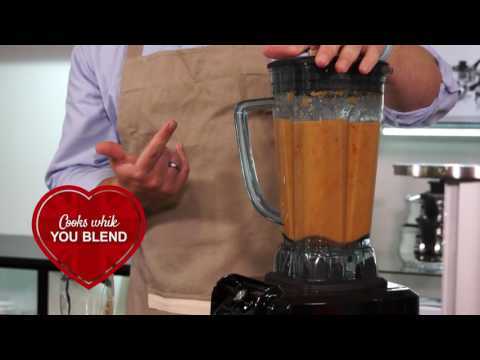 This blender is amazing, fantastic and does all that it claims to do. I decided to treat myself after seeing a similar product demo at the Ideal Homes exhibition. Despite already owning the Tower Xtreme Pro (which is good), I justified purchasing this one due to the fact it also heats up, so replaces an old soup maker that broke. It is noticeably powerful, pulverises fruits and veg much more than any other blender I have tried, it really does make 'smoothies'. The xtreme pro is now on its way to another good home!! So far although I have only had the Ultra Xtreme a short time, I have made soup, fruit and veg juices, thai curry paste, pasta sauce and I have some fruit in the freezer ready to try ice cream. Bought direct from the Tower website and delivery was very prompt. Exceptionally good value at the discount price I paid. I saved hundreds of pounds buying direct from tower we had a similar machine which supposedly did everything it did not compare with the functions and quality of this machine it dose the lot soups smoothies milkshakes and great ice cream cold ingreidients but then it blends and cooks your fresh soup we love it and the value cannot be beaten. THIS MACHINE IS VERY GOOD. WE HAD TO REPLACE THE VITAMIX WHICH MOTOR BURNT OUT WE HAVE HAD IT 15 YEARS AND PAID AROUND £300 WHEN WE FIRST BOUGHT IT . Easy to make sauces and soups which is why I bought it. I have a drinks maker but this is far better at smoothies. It Is great value for money. This is as capable at many tasks as other much more expensive brands. After much searching online for blenders of all shapes and sizes I stumbled across Tower Products.\nI remember my mother having Tower Pans etc back in the fifties, I didn't even know Tower Products still existed! !\nThis is my first ever review, and the only reason for this review is to say I am absolutely thrilled with this blender, I always believe you get what you pay for!! I would rather save for a top notch product , the very best as it were!! I never ever buy rubbish , this blender is brilliant , it's robust and very well made, it can easily be compared with the more expensive ones on the market, and a bonus for me is it isn't that loud to say how powerful it is!!! Yes if it's turned up to the max it is loud but that's not necessary for most every day blending, put the power is there if you need it!! !\nAlso this blender comes with a tamper and a two ltr jug, others on the market don't , if you're going to have a powerful blender like this you may as well have the capacity to blend in.\nI haven't made soup in the blender yet, but that was another bonus for me, if the blender chops all the ingredients up for me I'll be more than happy, I may not leave the blender on to heat the soup as I suspect it would need to be on the highest setting!!! Or maybe not!!! But I will be letting the blender do all the chopping and blending for my soup.\nAnd the cherry on the cake was the price I paid, pennies compared with all the others on the market.\nAnd to top the price I was offered an extra two years warranty , three years in total , from Tower just for buying the blender and registering online.\nIt's a long review I know!!! But it's a totally honest one !!! \nI will definitely be looking at other Tower Products from now on. After much searching online for blenders of all shapes and sizes I stumbled across Tower Products. I remember my mother having Tower Pans etc back in the fifties, I didn't even know Tower Products still existed!! This is my first ever review, and the only reason for this review is to say I am absolutely thrilled with this blender, I always believe you get what you pay for!! I would rather save for a top notch product , the very best as it were!! I never ever buy rubbish , this blender is brilliant , it's robust and very well made, it can easily be compared with the more expensive ones on the market, and a bonus for me is it isn't that loud to say how powerful it is!!! Yes if it's turned up to the max it is loud but that's not necessary for most every day blending, put the power is there if you need it!!! Also this blender comes with a tamper and a two ltr jug, others on the market don't , if you're going to have a powerful blender like this you may as well have the capacity to blend in. I haven't made soup in the blender yet, but that was another bonus for me, if the blender chops all the ingredients up for me I'll be more than happy, I may not leave the blender on to heat the soup as I suspect it would need to be on the highest setting!!! Or maybe not!!! But I will be letting the blender do all the chopping and blending for my soup. And the cherry on the cake was the price I paid, pennies compared with all the others on the market. And to top the price I was offered an extra two years warranty , three years in total , from Tower just for buying the blender and registering online. It's a long review I know!!! But it's a totally honest one !!! I will definitely be looking at other Tower Products from now on. Blades are very good and the abilirty to be able to control the speed is brilliant, worth the money. This is a very powerful blender. I have, so far made soup, milk shake and Ice cream all of which have come out really well. The soup can come out warm if blended for 6 mins or more but if you like your soup hot as I do just pop it in the microwave for a min. We also have a Nutribullet and this device is just as good, if not better making easy pickings of everything that I have thrown at it, even ice cubes, also being a larger capacity its easier when making smoothies etc for more than one person.\n\nNow for me the best part is how easy it is to clean, just pop some warm soapy water in, blast it on high for 30 seconds, empty and repeat with clean water making sure its completely dry before using agian, now that's my kind of cleaning! This is a very powerful blender. I have, so far made soup, milk shake and Ice cream all of which have come out really well. The soup can come out warm if blended for 6 mins or more but if you like your soup hot as I do just pop it in the microwave for a min. We also have a Nutribullet and this device is just as good, if not better making easy pickings of everything that I have thrown at it, even ice cubes, also being a larger capacity its easier when making smoothies etc for more than one person. Now for me the best part is how easy it is to clean, just pop some warm soapy water in, blast it on high for 30 seconds, empty and repeat with clean water making sure its completely dry before using agian, now that's my kind of cleaning! A bit sceptical at first particularly as i have been looking at the vitamix demonstrations..but those machines are far too expensive for someone when it may just be a passing phase.\n\nI know I need to eat more fruit and veg and drinking them is proving to be an easier way to acheive it, and\nfor the price it was definitely worth a try and so far this has been an excellent purchase.\n\nThe machine has done everything I want so far..it crushes the ice in the smoothies with ease...I've made ice cream .. peanut butter.. and soup, although it's best to use hot water first to get reasonably hot soup without prolonged use of the machine.\n\nThe vitamix has approx 10000rpm higher top speed so things take a bit longer to do but I am really pleased with the results... and it is a lot cheaper. \n\nIt is also much better value and has more flexibility than the cup style machines because you cannot use a tamper with these you do need to be able to use a one to get the best from the machine.\n\nObviously I don't know how long this machine will last but with the extended 3 year warranty if that is all it lasts it is still worth every penny. A bit sceptical at first particularly as i have been looking at the vitamix demonstrations..but those machines are far too expensive for someone when it may just be a passing phase. for the price it was definitely worth a try and so far this has been an excellent purchase. The machine has done everything I want so far..it crushes the ice in the smoothies with ease...I've made ice cream .. peanut butter.. and soup, although it's best to use hot water first to get reasonably hot soup without prolonged use of the machine. The vitamix has approx 10000rpm higher top speed so things take a bit longer to do but I am really pleased with the results... and it is a lot cheaper. It is also much better value and has more flexibility than the cup style machines because you cannot use a tamper with these you do need to be able to use a one to get the best from the machine. Obviously I don't know how long this machine will last but with the extended 3 year warranty if that is all it lasts it is still worth every penny. Nice and quiet, very stable when working.Easy to clean.\n Only wish I had waited and bought it at the price it is now. Nice and quiet, very stable when working.Easy to clean. Only wish I had waited and bought it at the price it is now. Excellent. That's exactly what I looking for and the price is affordable. I use it everyday. Tried making peanut butter with 200g bag of peanuts but blender didn't cope well with this small amount. Disappointed that no recipe or instructions booklets were enclosed with blender so haven't really used it very much. It is powerful,relatively quiet and completes all the tasks I throw at it. excellent machine for smoothies and healthy drinks. have used it a lot since purchase, will reduce any fruit or greens to a drink in seconds, very powerful motor. Would recommend. Have found this to be an excellent blender. I have only had it for a short time but have made excellent hummus and soup from the recipe book. It is really easy to use, looks good and is very easy to clean. It also heats food if required,but I usually just finish off in the microwave to get piping hot soup. I have also made cheese sauce really really easily.No more standing over a pan stirring....just put all ingredients in the blender at once and leave the blender to make the sauce. It will be warm but not hot, so just finish off in a pan.The best cheese sauce that I have ever tasted and soooo smooth! I know I will be using it all the time and discovering more of its capabilities. Roll on summer for the iced deserts! There are a lot more recipes on the internet waiting for everyone to try. And it is family sized , unlike the smaller bullet blenders, and has more power ,build quality and capability than most of these. The machine has performed very well and my wife and I are delighted with both the soups and smoothes. The quality is very good and the special offer by our local supplier makes it a best buy compared with other manufacturers. The only problem we had. this is being sorted by customer services, was the recipe book supplied with the unit referred to timers not fitted to this unit and no explanation of the symbols used by the recipe menus. This was annoying as we are first time users but is the only problem we have had and does not detract from a really good machine. I have not stopped raving about the Tower Nutrient Extraction System since I bought it. I have enjoyed using it so much that I have invited friends in to see it and to sample the wonderful healthy drinks that it produces. To boost my health was my main reason for buying it. I have read many online reviews about which one to buy and I noted that the noise levels produced by these extraction systems was a major concern for many people but I can truly say that the Tower Extraction System simply hums and it is so easy to use and so easy to clean. This isn't the first nutrient extraction system that I have used but it is the best. It was great value for money and takes pride of place in my kitchen. I know that my friends are jealous but who cares. I am happy and most importantly I am healthier. very sturdy and powerful item. I would recommend. every time I have used it, I have needed to use the pulse as chunks gather at the bottom beneath the blades. Very good product. Excellent value for money. Great service from Ideal World. Would recommend. It is excellent I am still trying receipts and mastering the machine . Does it's job well. Solid build quality and worth every penny. Easy to use and clean. Makes lovely ice cream, smoothies, milk shakes and soup. Good value for money. Purchased xtreme nutrient extractor after in store demo in Aldiss Fakenham, they had a discount on so really good price. Really pleased with the quality of this product. It is more powerful and better build quality than some of the nultra bull it devices I had been looking at. \nFirst recipe was Thai curry paste, wow it was amazing flavour and we loved it. \nThen did strawberry freezout with frozen straws, this too was really good. Instructions easy to follow and I can see that many of my other recipes could be adapted for use in my xtreme nutrient extractor. Just brought spinache and advocacy for my next healthy green smoothly. Purchased xtreme nutrient extractor after in store demo in Aldiss Fakenham, they had a discount on so really good price. Really pleased with the quality of this product. It is more powerful and better build quality than some of the nultra bull it devices I had been looking at. First recipe was Thai curry paste, wow it was amazing flavour and we loved it. Then did strawberry freezout with frozen straws, this too was really good. Instructions easy to follow and I can see that many of my other recipes could be adapted for use in my xtreme nutrient extractor. Just brought spinache and advocacy for my next healthy green smoothly. Absolutely brilliant and managed to purchase at excellent price considering the quality of product - no comparison to other similar products, this one is far superior. Would recommend to anyone. The machine worked well when I prepared a variety of recipes namely soups and smoothies. Other advantages were I was able to make the recipes within a couple of minutes. Overall I would recommend this product to anyone.